The 9th of june, at 8am, we left our homes. First we had to reach Zurich International Airport by train then, with a 4 hours flight, Keflavik. 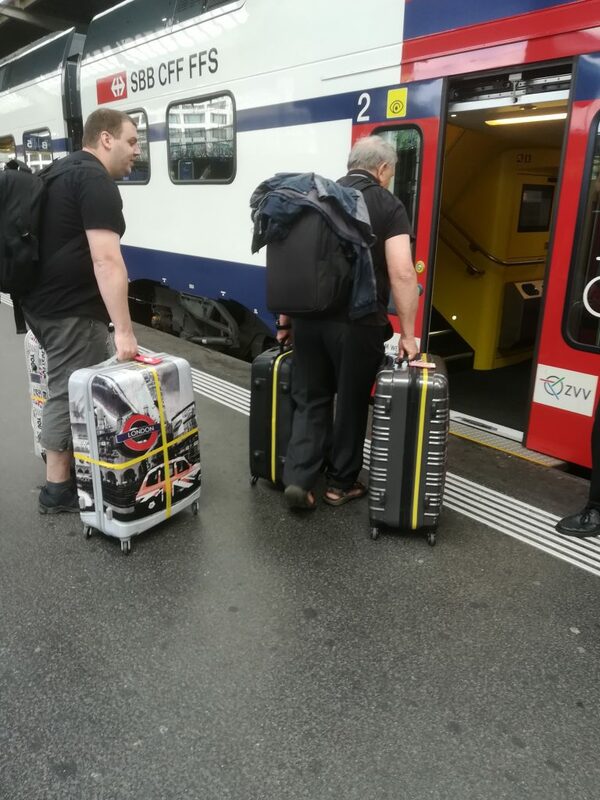 Travelling with 5 luggages full of equipment and clothes is not easy for 3 people. With one hour of delay we took off and enjoyed our flight. Sadly the clouds over Iceland prevented us to take pictures. Once landed in Keflavik International Airport we took our rental car and left the Reykjanes peninsula. We were headed to Hraunfossar, since our first Hotel was nearby. After the check-in process we took a few pictures to the magnificent waterfalls and then we tried to enter Surtshellir. It was already late (around 8pm local time, 10pm for us). Sadly a lot of snow was blocking the entrances and we could only take pictures from outside.